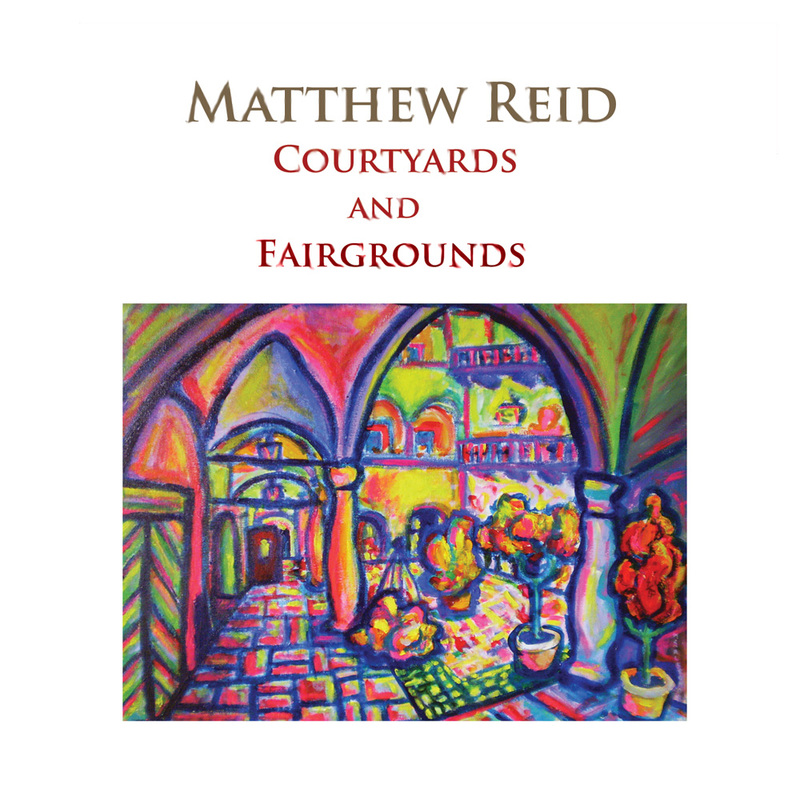 Courtyards and Fairgrounds is a collection of Mr. Reid’s compositions that evoke the sound of the Medieval and Renaissance eras. The pieces were created using a mix of traditional and modern compositional methods. Some use authentic musical techniques and forms common from the twelfth to seventeenth century. You may hear echoes of Perotin, de Vitry, Machaut, Monteverdi and Palestrina. Others use more contemporary techniques while still evoking the sounds of the past. You may hear music that reminds you of Prokofiev, Arcana, Dead Can Dance – even Pink Floyd. Many of the pieces were originally composed for plays of the Renaissance and Medieval eras, including Shakespeare’s Othello and All’s Well That Ends Well, Kyd’s Spanish Tragedy and the anonymous Coventry Play. Others were created as academic exercises in Medieval and Renaissance composition. They are presented here, re-orchestrated and rearranged for modern classical and near east instruments with an emphasis on winds, percussion and plucked instruments.